Did you know your answers are within you for all of your health challenges, stressors, and even knowing what’s next for you? Yes, your answers ARE within. 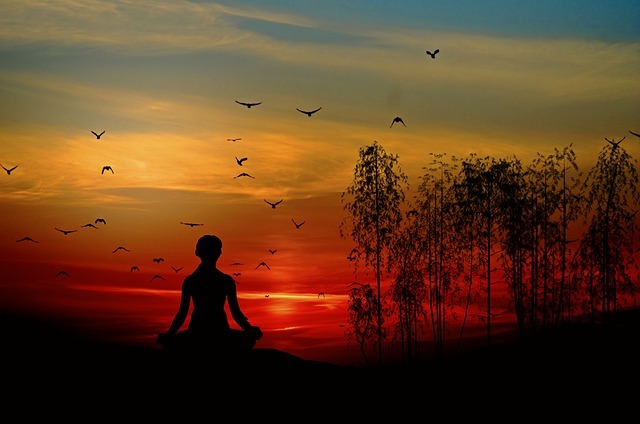 Whispering to You Through Your Heart, Your Soul is Telling You Your Answers Are Within. Looking to feel better, experience improved health, find your next steps? Want to the satisfaction and fulfillment of knowing and living YOUR purpose? Your body is guiding you to follow the path that’s best for you. Your heart knows your Purpose. And, your Soul’s whispering through your heart all you need to know to be all you’re designed to be. You first need to know and trust that, then learn how to listen and follow along. Centuries ago, the “church” decided that the more esoteric matters of the mind, heart, emotions, and spirit was its domain. The medical community decided the physical body was its domain. That was the beginning of separation of “church and state”. Perhaps that’s what lead to a tendency to look for our answers and solutions outside ourselves. Sure, you must consult with professionals at times because they have necessary skills and knowledge you don’t. And, that knowledge will enhance your understanding and decision-making. But they don’t have ALL of the information. Only you have lived your life, in your shoes, with your experiences. You’re the only one who truly knows what’s going on inside your mind, your heart, your Highest self. Ultimately, only you can make the best decisions for yourself, and manage your thoughts to keep aligned with your design, your Purpose, what IS best for you. And, when you stray from that, your system will respond in kind with symptoms of stress and dis-ease. 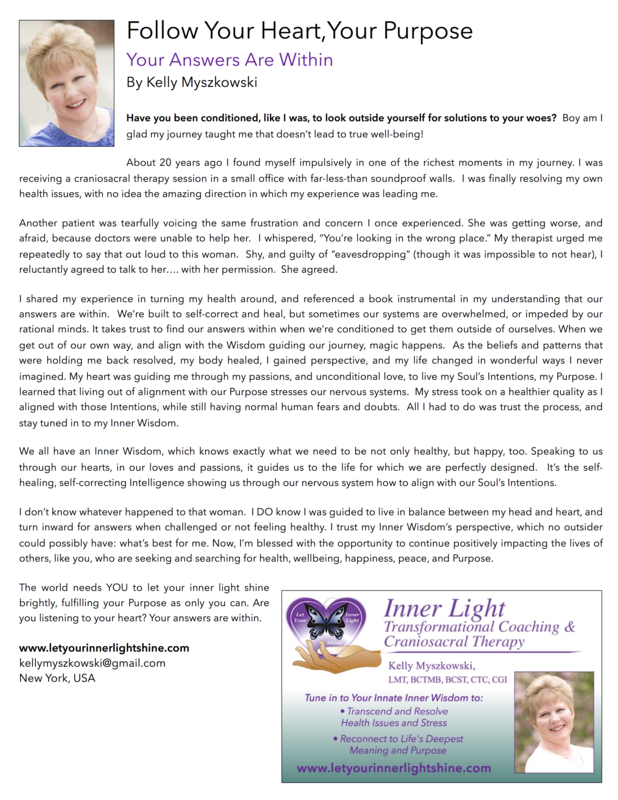 I’m honored to share with you the second in my 12 article series with the newly published international online magazine, Luminous Wisdom – Sophia “Follow Your Heart, Your Purpose: Your Answers Are Within”. Please share your comments below – would love to hear from you! Ready to go within to find your answers, reduce your stress, improve your health and well-being, and live your Purpose? 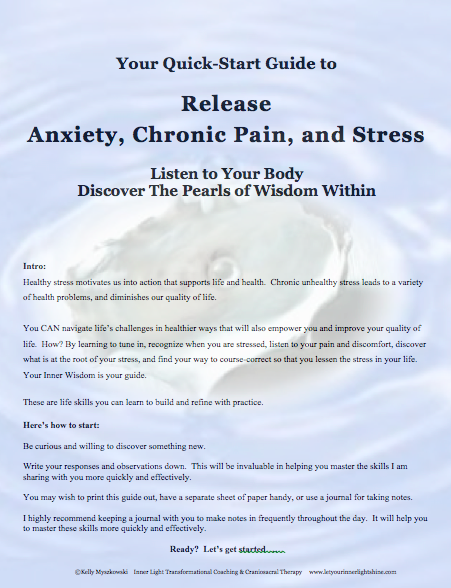 Grab your free copy of my 5-Step Quick-Start Guide to Release Anxiety, Chronic Pain, and Stress today.